The Pony Express National Museum opened a major new exhibit, Hall of Riders, this fall in the Messick Gallery. 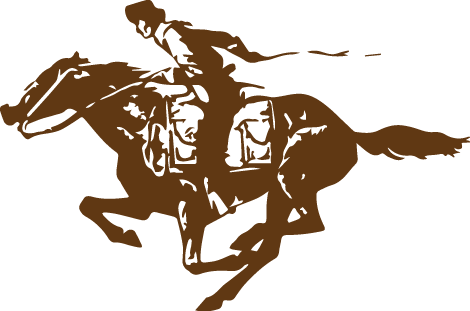 “The riders are the heart and soul of the Pony Express. An exhibit focusing on them was part of the original restoration and expansion plan for the Pony Express Stables in the early 1990s,” says long time trustee and volunteer Heidi Hornaday. Jacqueline Lewin, former director of the St. Joseph Museums, served as guest curator of the new exhibit. Ms. Lewin is a Pony Express historian and author of the book On the Winds of Destiny: A Biographical Look at Pony Express Riders. Ms. Lewin explains, “The Hall of Riders is divided into two parts. The first half tells who the riders were, where they came from, what it was like to live at a station, and what dangers they faced.” This section also includes facsimiles of newspapers they carried and a segment on how historians determined the identity of the first west-bound rider, Johnny Fry. The second half of the gallery features portraits of 22 selected riders along with biographical sketches and related objects. Artifacts on display in the Hall of Riders include personal memorabilia, letters, pension records, clothing, tools, weapons, pins, books, a sculpture and framed artwork as well as archival photographs of each of the riders represented. One of the frequently asked questions by guests exiting the museum is about the list of Pony Express riders and whether there is a ‘finalized’ list, notes museum director Cindy Daffron. “I don’t think you can ever say there is a final list of riders,” replies Ms. Lewin. “Since no company records of riders were kept, our information comes from diaries, newspapers, eye-witness accounts, census records, obituaries, etc. Researchers continue to uncover new information with rider names. We try to verify each name as it is submitted to us or as our research presents a new name,” she adds. “We think the Hall of Riders will be a popular exhibit for years to come and there was tremendous support from our sponsors,” concludes Mr. DeShon. Museum staff and trustees hope the new exhibit will prompt further inquiries and donations from riders’ descendants so we can continue adding to and preserving their legacy. 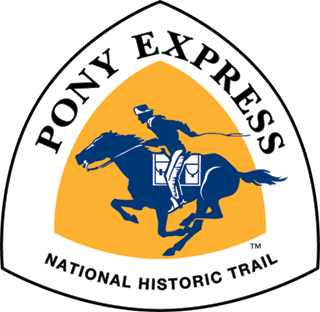 The Pony Express National Museum in St. Joseph is the only museum along the entire 2,000 mile Trail to feature a complete history of the Pony Express. That’s something our members, friends, volunteers and donors can be very proud of!